Couple this business with an franchise to guide to to success & this is almost a no brainer! 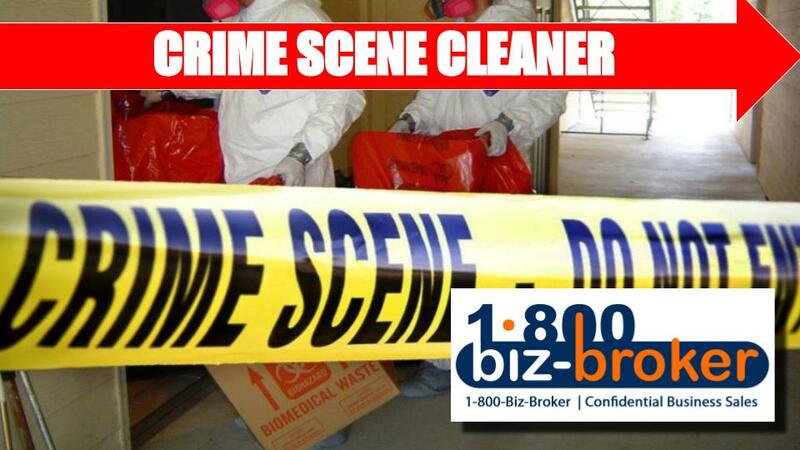 Unique franchise business with 4 diversified but related steams of business: crime scene cleaning, meth lab decontamination services, hoarding clean-up, & mold remediation. Exclusive territory and very supportive franchise that offers training and national exposure. Discounts to armed forces veterans. Please complete our NDA for more information. We are Business Brokers! Since 2006 we have been helping entrepreneurs sell their businesses. We are the premier Business Brokers in Southern California.